Is it worth cleaning a filter? – Filtros Castello S.L. 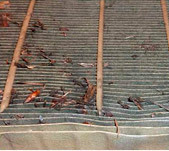 When an air filter is in use, the filter element may be exposed to sustained loading temperature to 80 ° C with peak temperatures of 100th C, depending on the implementation. This involves aging and weakening of the filter medium. If the element is cleaned, the high mechanical load exerted during the cleaning process can cause fracture of the folds already weakened, causing a decrease in filtration efficiency, thereby increasing the risk of engine failure. 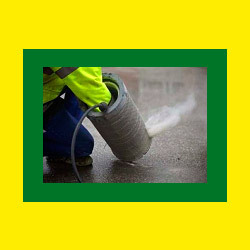 Cleaning with compressed air it should also be avoided. Most particles have retained such a small diameter that can not be expelled or by shaking, or by air pressure so just be deleted thick dust deposited on the filter surface (Fig. 1). 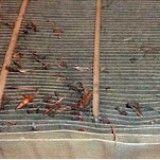 There is a risk that the filter media can be broken by a jet of uncontrolled air and dirt is transferred from the dirty side to the clean side. 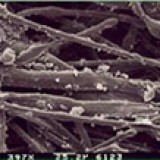 Even with the utmost care, air pressure can damage the structure of the fibers forming the filter medium (Fig. 2) increasing the diameter of the pores. This type of damage is not detected by the naked eye and carries the wear of engine parts. The filter elements must be replaced respecting the distance traveled intervals prescribed by the manufacturer. The manufacturer has set the duration for each model according to the average flow of intake air and the dust concentration per unit volume of air to reach the point where the loss of load peaks.